Pakistan has not been safe from misconduct in educational institutes. While many students suffer in silence, many end up taking their lives. 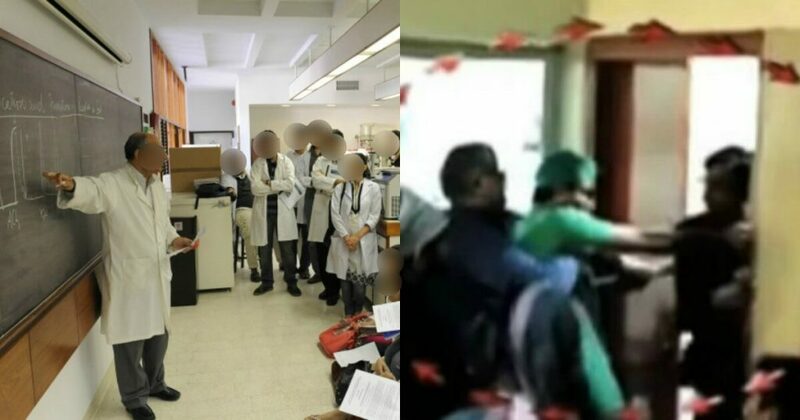 In a well-known Medical College of Lahore, students have undergone the worst kind of mental torture and harassment where every year this prestigious institute celebrates producing hundreds of doctors, a faction of students suffers and everyone stays oblivious. 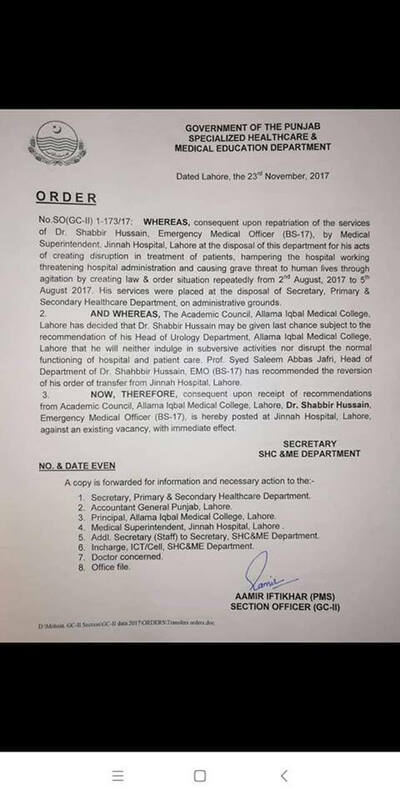 From the last couple of years, the students of Doctor of Physical Therapy at Allama Iqbal Medical College Lahore have been suffering at the hands of former Acting HOD Babar Hussain Chaudhary who used to bully, exploit and harass the students of the department, not only females but also males. His acts of harassment have led many girls into severe anxiety. Male students abused and exploited, stand helpless and depressed as well. From continuous threats of “failing in exams” to stalking girls after college timings and interfering their private lives, this man has exploited all his authority. After years of suffering the students finally spoke up against him and filed a complaint against him to the authorities of the College as well as Chief Justice of Pakistan. From visiting every office of the bureaucracy to holding a protest to raise their voices, these students have struggled hard for their plea to be heard. Since day one, that man has been influencing the authorities as well as the inquiry committees formed. The situation escalated when this man began to continuously threaten the students and harass them at public places. The female doctors who had rejected to testify in his favor were treated even more badly, threatened and forced to leave their workplace. He has been using his influence (which include his brother as well who is a medical officer at Jinnah Hospital Lahore) to carry on these activities. Only recently that man’s brother Dr. Shabbir Chaudhary (a man notorious for acts of public disruption and misconduct) physically assaulted the students, beat them up and abused the female students as well when students went to the Physiotherapy Department to welcome new HOD. 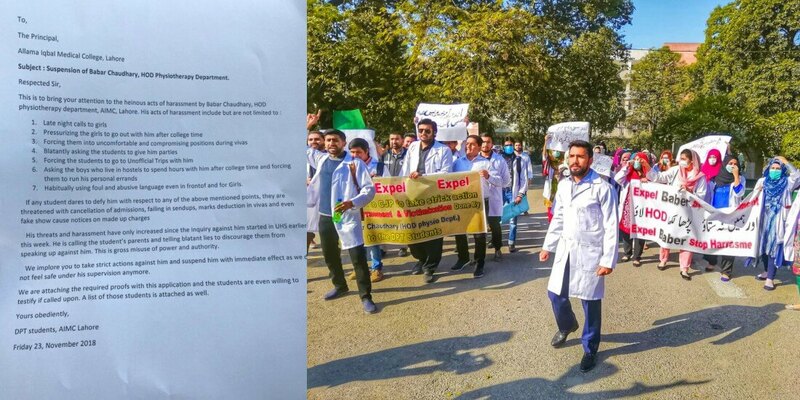 The students, holding bouquets in their hands, were beaten up and thrown out of their own department by Dr. Shabbir Chaudhary while everyone stood and watched. Shabbir Chaudhary is a known miscreant in Jinnah Hospital Lahore. Who is to blame? The authorities who don’t want to acknowledge the concerns of their students? The technical staff and doctors who stood there and watched? The security guards who couldn’t protect them while they were beaten up? The Government? The Law? Or the students who were supposed to stay “quiet”? This is a very serious issue which has scarred the students mentally and emotionally for years. The students who secured admission on merit were degraded and annoyed by a person who was ineligible and under-qualified for his post. These bright minds have been conditioned with mental torture for years. How long will this go on for? Will this chain of endless harassment end after a girl took her life?! A big question mark on our educational institutes!